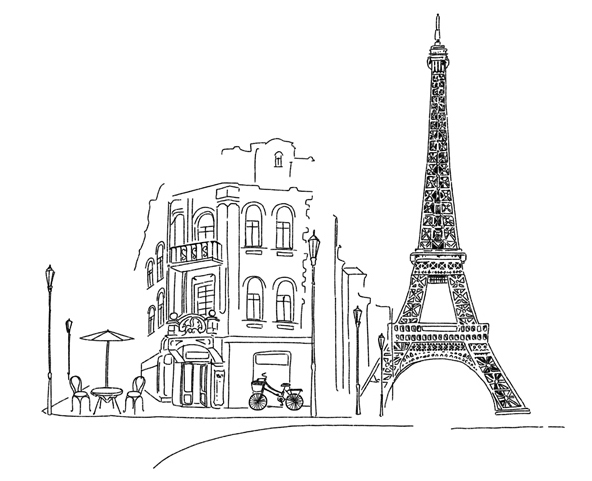 10 Reasons You’ll Want to Come to a Night in Paris…in Lahaina! 1. Come to the Maui Prep Winter Gala because it’s a fantastic cause, benefitting the new multi-purpose gym for our Keiki! 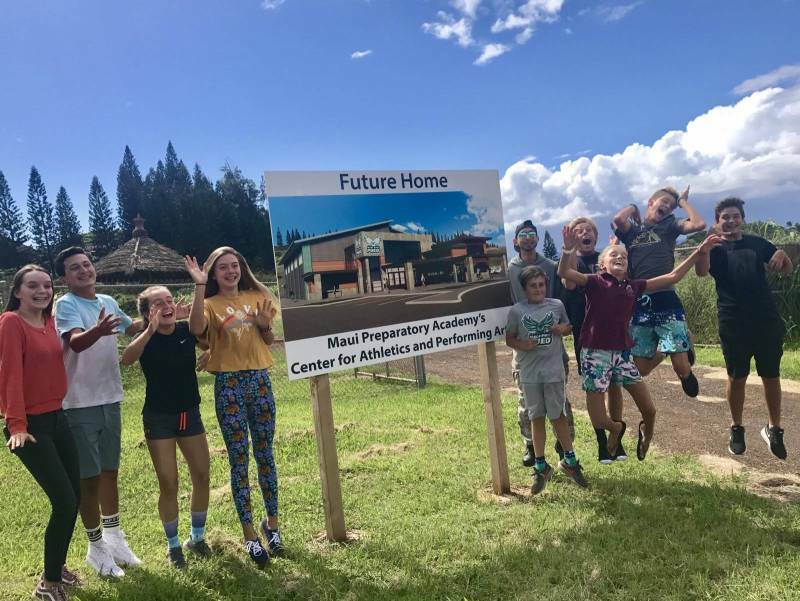 The new center for athletics and performing arts will be open to our West Maui Ohana and is happening now. 2. For fun! 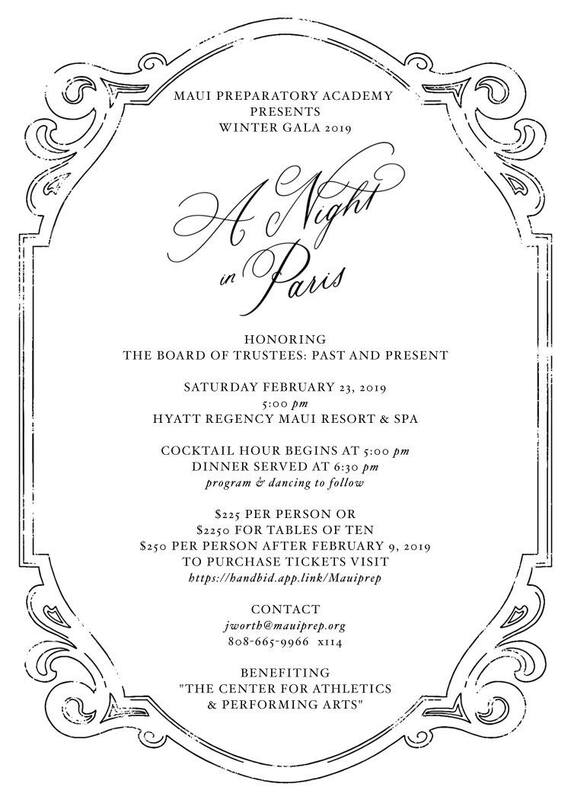 If you’re on Maui, don’t miss this great evening with the “Night in Paris” theme on Saturday, February 23. 3. It’s a chance to get dressed up, wear the fancy jewelry, and maybe even pull out that beret and red lipstick. 4. It’s a good excuse to stroll through the Hyatt Regency in Lahaina and visit the penguins. 5. We’re having an auction so you can shop guilt-free, get the best deals ever all for a good cause. 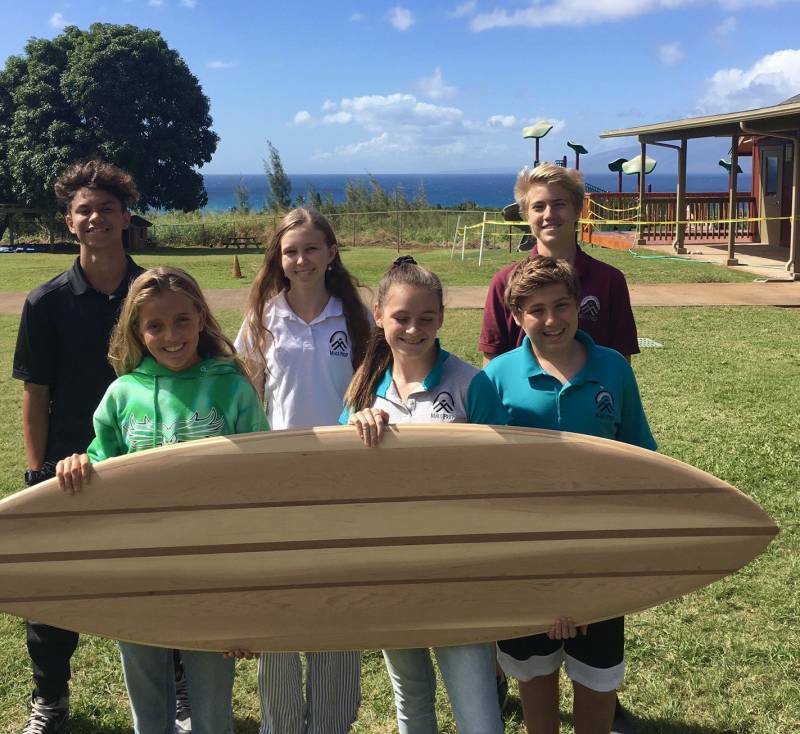 For instance, my daughter and some classmates learned to shape a surfboard at Maui Prep and it will be up for auction! Other items are hotel stays, boat cruises, surf photography, spa treatments, and more. 6. Your donations are fully tax-deductible to the extent allowed by law — this is a 501(c)(3) organization. 7. Not only will your support benefit the kids, but the entire Ohana because the gym can serve as an evacuation center for events like our hurricanes. We will also be able to accommodate keiki from Molokai, Lanai, and Hana coming over for the weekends to compete in sports. 8. Giving back makes us feel good! 9. There will be cocktails and dancing…dancing is good for you! To purchase tickets, click here — prices go up after February 9th. See you there! If you can’t make it, come visit our school in Napili and feel the good energy up there… if you’re not on the island, consider making a tax-deductible gift. Thank you! Contact me if you have any questions on how to give a little aloha! > Mahalo for all your help!